Commercial real estate investment in the Greater Toronto Area (GTA) reached $11.3 billion in the first half of this year, surpassing the record-setting first half of 2017 by six per cent, according to Altus Group. There were 574 investment property sales transactions valued at more than $1 million in the second quarter, representing a total investment value of $5.6 billion, according to Altus Group. “Institutional players are looking at core assets, AA or AAA office buildings, large industrial buildings that have stable tenants, as well as apartments,” said Wong. “Anything that provides a stable income for them is what they’re targeting. Wong said non-institutional investors are also often looking for properties they can quickly improve and sell again. These investors are often not willing to pay the higher prices which institutional investors will shell out for certain assets. Residential land accounted for $1.5 billion in sales, while industrial, commercial and investment land accounted for $1.3 billion. When combined, that comprised half of the total capital flows from April through June. 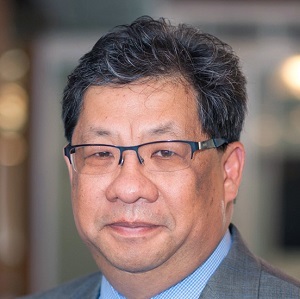 “What land offers you is an opportunity for slightly higher returns because you’re improving the site,” said Wong, who joined Altus Group 13 months ago after spending 17 years at CBRE Canada. The 365-acre Bombardier Downsview site in North York, which benefits from its proximity to public transit and highways, was acquired by the Public Sector Pension Investment Board for $825 million. PSP Investments will look to redevelop the lands for mixed uses in three to five years when Bombardier vacates the property. The top residential land transactions occurred in: Markham, where private sellers sold 70 acres at 3575 Elgin Mills Rd. to Pemberton Group for $187 million; and North York, where Toronto Hydro Corporation sold eight acres at 5800 Yonge St. to an affiliate of Times Group for $122.2 million. Wong said developers often need to be creative to find good development land in downtown Toronto, sometimes by assembling a parcel of multiple properties for a project. The office sector saw a 59 per cent decrease in transaction values compared to the previous quarter, as fewer deals closed and few landmark office properties changed hands. The most significant deal was Agellan Commercial REIT’s (ACR-UN-T) $256.25-million sale of the 865,000-square-foot Parkway Place in North York to Asian investor Tigra Vista Inc.
Investments in the apartment sector nearly doubled in the quarter to $560 million, the strongest quarter since the beginning of 2013. The asset class remains in demand due to the rental sector’s stability, despite the outcry from landlords and developers which resulted from expanded rent controls introduced in Ontario in April 2017. The most significant transaction was the Blackstone Real Estate Advisors and Starlight Investments joint venture acquisition of a six-property, multi-residential portfolio from private individuals in Toronto and Montreal for $222.5 million, of which $182.4 million was invested in Toronto. Summit Industrial Income REIT’s (SMU-UN-T) $70-million acquisition of an industrial portfolio from Epic Realty Partners Inc. was the largest deal in that sector, according to Avison Young’s second-quarter GTA commercial real estate investment review. Sunray Group won the bidding for the Delta Toronto East Hotel and development property after a court-ordered wind-up of the assets of previous owner Tarn Financial Corporation. The property at 2035 Kennedy Rd. includes a full-service hotel with 366 guest rooms and more than 32,000 square feet of meeting space on 6.9 acres. Wong said the price was $42 million. Altus Group’s report noted there were 124 retail transactions during the quarter, though 80 per cent were for less than $5 million. While the retail sector remains highly sought after, constrained market conditions resulted in a lack of institutional purchases of prominent retail assets. Wong said the biggest retail transaction was KingSett Capital’s sale of a property at 477-485 Queen St. W. to YM Inc. for $28.9 million.